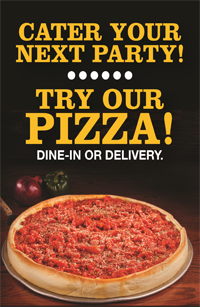 We first roll out a thin crust then load your choice of toppings in the middle. After folding over the crust, we roll the edge.For a calzone, we slowly bake it in the oven to a golden brown. For a panzarotti, we deep fry it to a golden brown. Serves 1 to 2 adults.